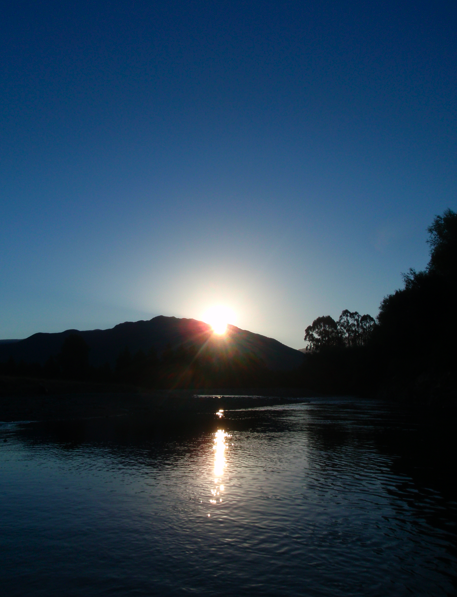 >It rained the first few days when we arrived in Takaka. Staying at a hippie campground means that we are living in a mud hole. 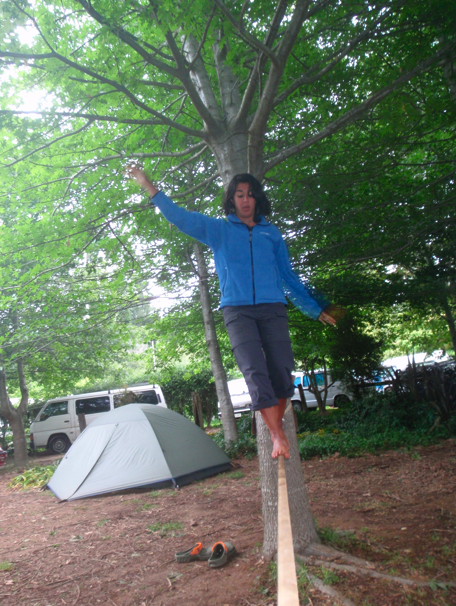 When I am not running around barefoot in the campsite, I am usually practicing my slacklining. When our arms hurt, we slackline. When we eat, however, instead of watching TV, we are playing Scrabble. Mojdeh bought herself Travel Scrabble for Christmas and it has been passing many wet hours. 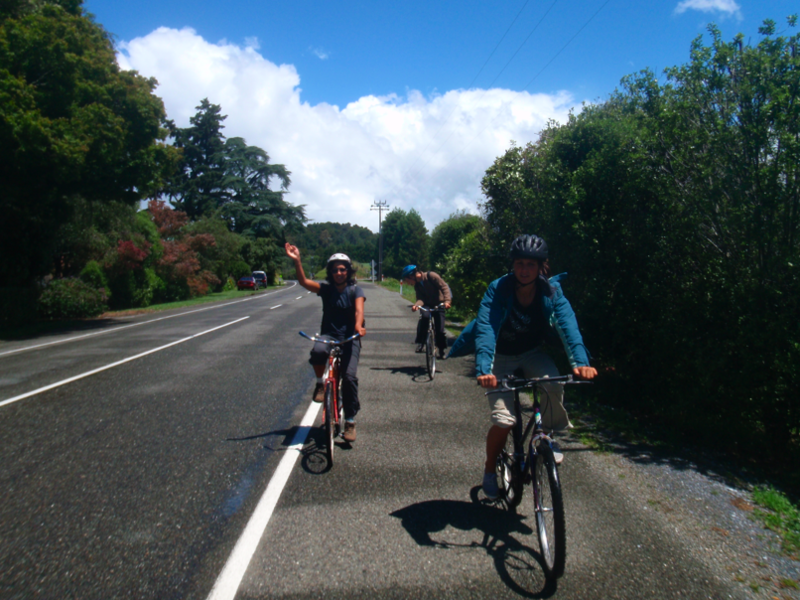 One afternoon it was sunny so we rode bikes into town with new friends. 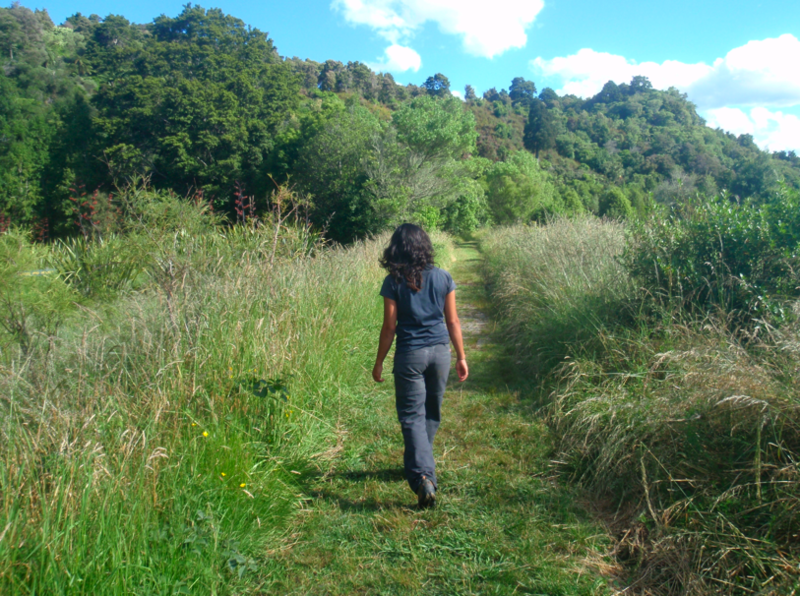 Then we were able to go for a walk in the bush. It was finally sunny for a day but we couldn’t go climbing because the crag (climbing area) was still wet. So we asked around and found out that the best place to go climbing after 6 inches of rain was the cliffs by the harbor. The next day we rented gear and hit the crag. It took us a while to get there hitching, but after 3 rides from different people we made it. We walked up a narrow track and BAM, there was the cliff! Extremely excited, we geared up. Starting off with easy climbs were slowly got ourselves back into the swing of things. 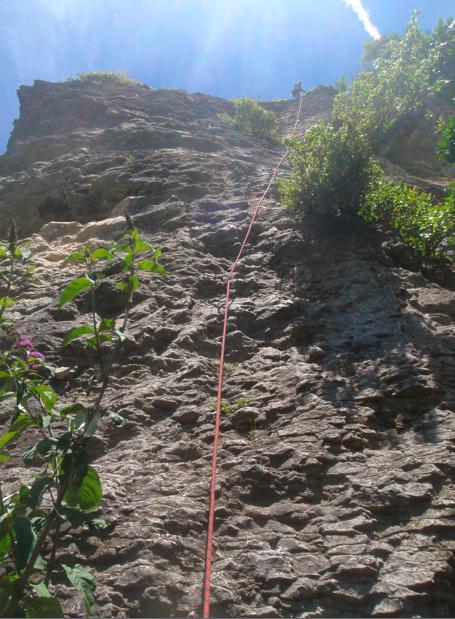 The peak of our climbing day was when we lead a 26 meter (85 feet) route called Franklin’s Tower (16NZ/5.8US). It has astounding views and a bell made out of a fire extinguisher. We then went back to our hippie camp had a late lunch and tea. 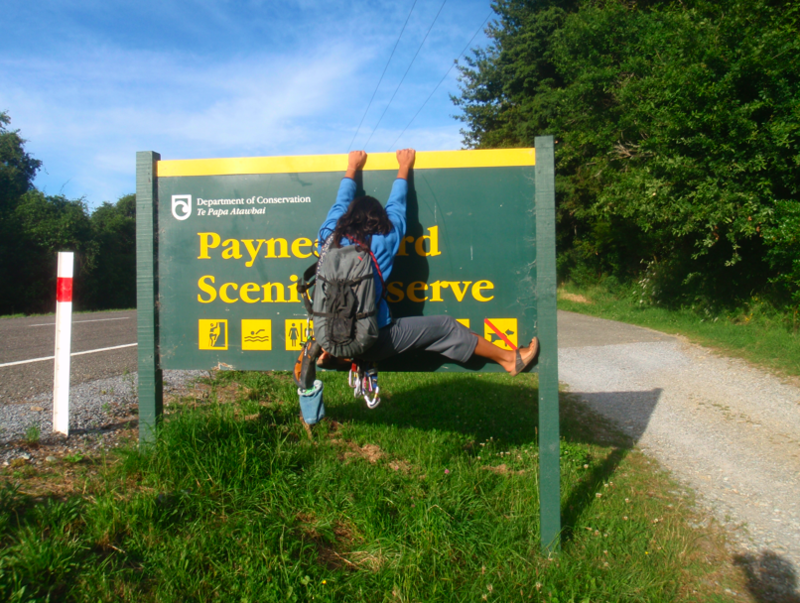 Then we took advantage of the climbing area that was a 2 minute walk from our campsite for some evening ascension. We heard that there is lots of climbing here. 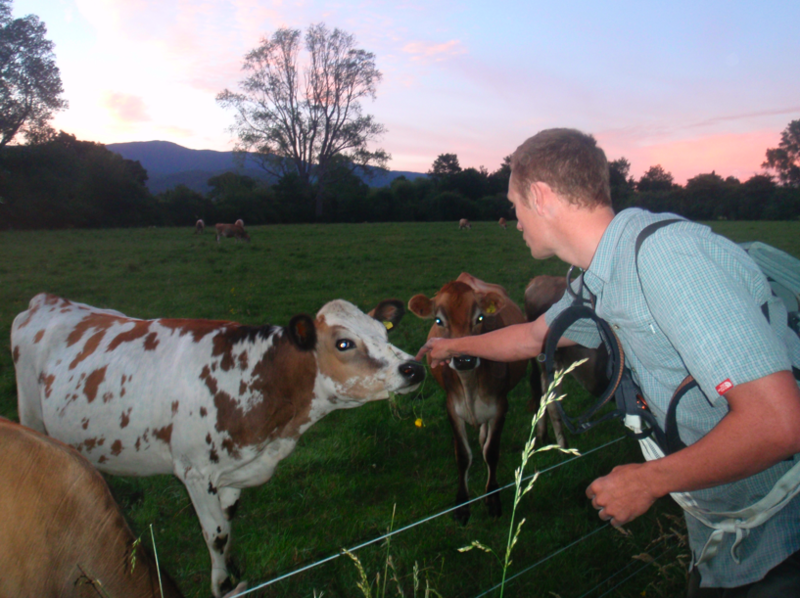 On the way back I gave the cows with some flowers. One of them got shocked by the electric fence because it wanted flowers too. It is now Christmas Day. Merry Christmas! Mele Kalikimaka. This entry was posted in Uncategorized by Rory. Bookmark the permalink.